Women have been having a love affair with shoes forever. Proof is the numbers of pairs most of us have in our closets and/ or under beds, on shelves, in spare closets and even in shoeboxes awaiting that inaugural walk outside. The great thing about shoes is how they can make us feel. Shoes can complete an outfit, elevate our look from ok to outstanding, slim us down, make us taller, and change our body language. And on those days when despite feeling bloated or having put on a few pounds they always fit! 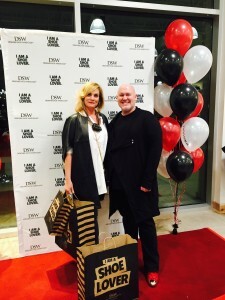 DSW, part of Town Shoes Ltd opens today at the Ottawa Trainyards. 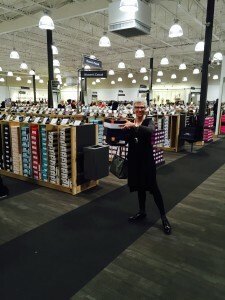 This is the first store in the Ottawa region and the company website states that “DSW is all about the thrill of finding the perfect shoe at the perfect price”. Last evening, we attended the cocktail celebration hosted by Blackbook Lifestyle, an Ottawa based event-planning company, to welcome and celebrate the opening of DSW. The large warehouse store has thousands of shoes for men and women, as well as handbags and accessories. The aisles are wide and the merchandise is displayed well with easy access to boxes containing different sizes. The shoes are merchandised in groupings, heels, flats, athletics, sandals etc. therefore easy to navigate. Replacing bulky shopping carts that can impede the shopping process, are heavy-duty shopping bags, dispersed throughout the store, which comfortably carry several boxes of shoes. Also available throughout the store are “sockets” for those that did not wear socks yet want to try on shoes. Ottoman seating is conveniently located within the aisles to try on shoes and there are several mirrors available to see how they look! 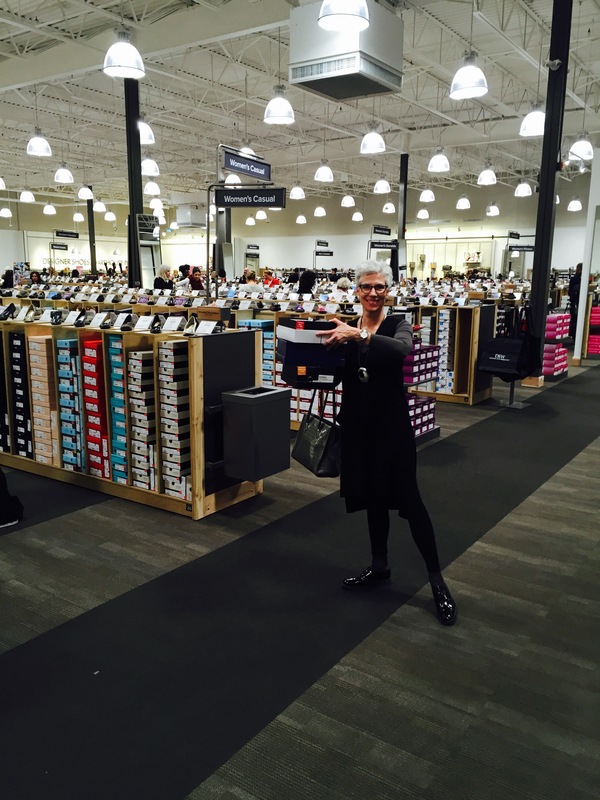 Can’t find your size…there are shoe associates who carry tablets and can check inventory or another location for availability. 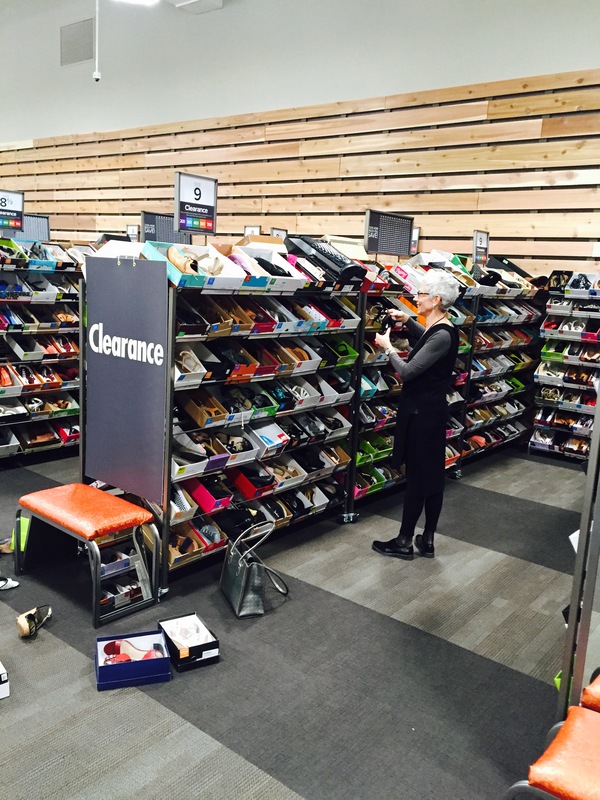 The Clearance section, located at the back of the store, was in frenzy last night with many shoppers looking for the deal of deals. 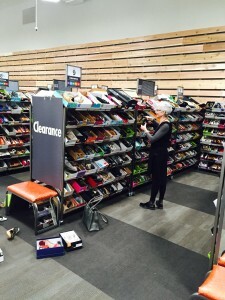 This is an area where further reductions are offered on limited quantities of shoes. Substantial discounts can be found, some pairs boasting 80% off original prices. Some noteworthy labels at varying discounts could be found amidst these racks organized by size. Such as Birkenstock, Sorel, Ted Baker, Dolce Vita, Cole Haan and the hugely popular comfort and funky shoes by Bernie Mev. Leaving the store last night carrying an “I am a Shoe Lover“ bag, inside 2 pairs of fabulous shoes purchased at great prices, I now enthusiastically await their upcoming inaugural walk. 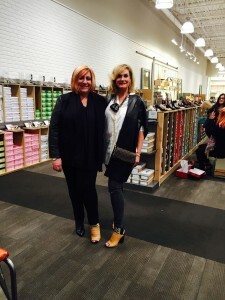 Last night there was shoe success at DSW.